Everybody makes a move at some point in their lives and it is not as easy as it seems. It is like a big project, which requires so much attention and expenses. Moving without your vehicles is not possible because you need them at every point in your life. Most importantly, you cannot depend on car hiring services for very long at another place. So you need to transport your own car, for which you need to hire car shipping services. Car shipping services are easily available throughout the country. Search over the internet and you will see that there are hundreds of companies providing this service. Companies are offering car shipping service both locally and internationally, which is great for people who travel more locally and globally. So, the next main target is selecting a few companies that would provide you the best rates along with premium quality services. The companies are eager to gain more customers because it benefits them. On the other hand, you should also look for the same set of benefits when it comes to hiring the services of the companies because you are paying for it. In order to get the most out of your hard earned money, you will have to put in maximum research for the task and ensure you are confident about the processes of the selected company. You need to be vigilant because you are handing over your vehicle in the hands of unknown people. 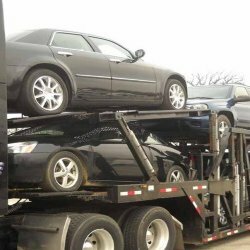 Car shipping services are divided into two main categories; covered and uncovered. With the covered services, the car is transported using the best security measures in case the weather turns harsh or other contingencies arise. The other option is the uncovered car shipping services. This service does not include premium security measures. These services are offered at different rates and you can choose according to your budget. There are not so many differences in the kind of services in both secure and unsecured car shipping services. To make the experience of using the car services a more reliable one, look out for other necessary details like insurance, federal licenses and other important documents. All car shipping companies are required by law to get themselves registered with the federal authorities. Check out if the company you have selected is registered or not. You need to ask the company to show you the licenses they hold to run the business. As always, you will want to try and get the best price you can. Get quotes from the companies that you have found that you can trust. That being said, you don't want to just hire the cheapest service and end up with a company that doesn't provide adequate service for you and your car.